Here we are on this wonderful Tuesday, but in my house it’s day 3 of my son refusing to drink from any cup. When you have a child with autism, you learn to overcome many challenges. They won’t eat from a plastic plate, they only want to wear a certain shirt (but that shirt is dirty), they won’t let you put pants on them because now they don’t like the feel of them… And you have to figure it all out from a screaming child because they’re nonverbal and can’t just tell you what they want (or don’t want). I admit, the past few days I have been frustrated, and possibly let that get the best of me a couple of times. But finding a solution has been priority. I brought him with me to the store and let him pick out cups he would like. That worked…at first. Now he will only drink from a juice box. But that hasn’t been diluted with water, and let’s face it, that will get pricey. I am still working to find a solution that will work for him, but I know there are so many parents who can relate to a situation like this. Having a child who has autism is never easy but it also has its rewards. 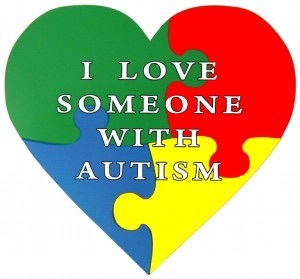 I’ve developed this patience I never knew I was capable of and discovered my own passion to work with children who have autism. Just remember, it’s ok to get frustrated. You’re human, and it’s going to happen. I always think that if I’m frustrated, my son must be 10x more frustrated, and that helps calm me down. We have to be there for our little ones!